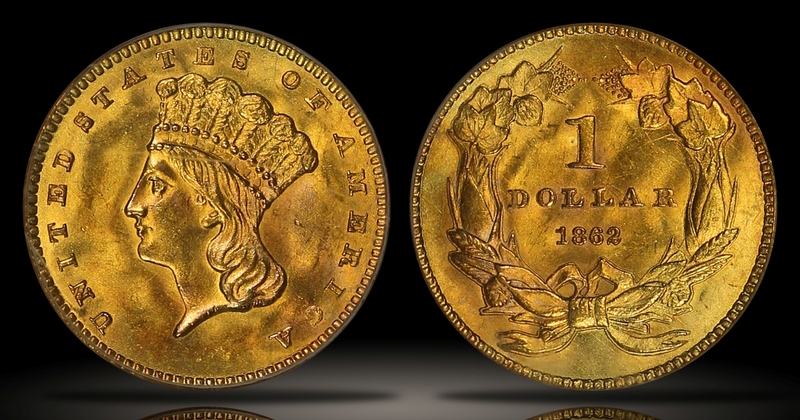 Although the 1862 Type Three Gold Dollar is one of the most common dates of the type, it remains a popular date as are all of the Civil War dates. The coin is not quite as common in gem condition. 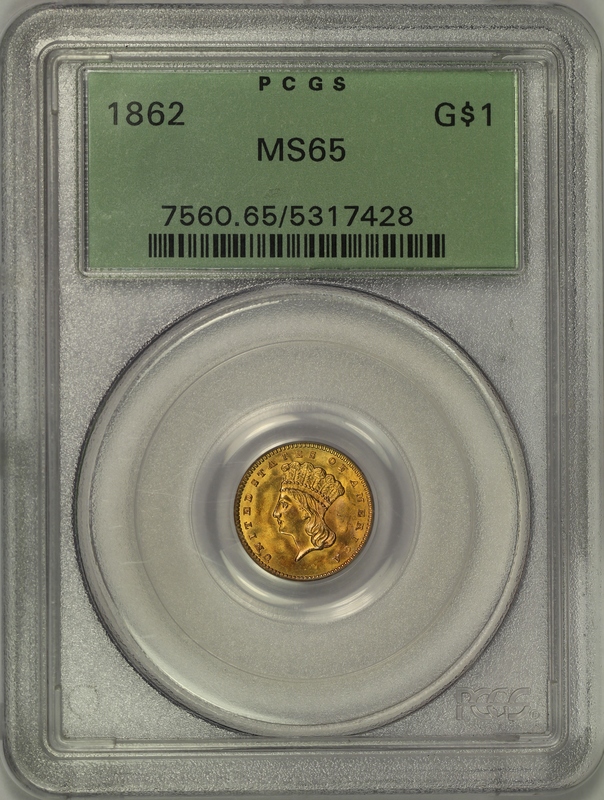 This example of the 1862 Gold Dollar has been graded MS65 by PCGS and is encapsulated and is encapsulated in an old green label holder which is approximately twenty years old. 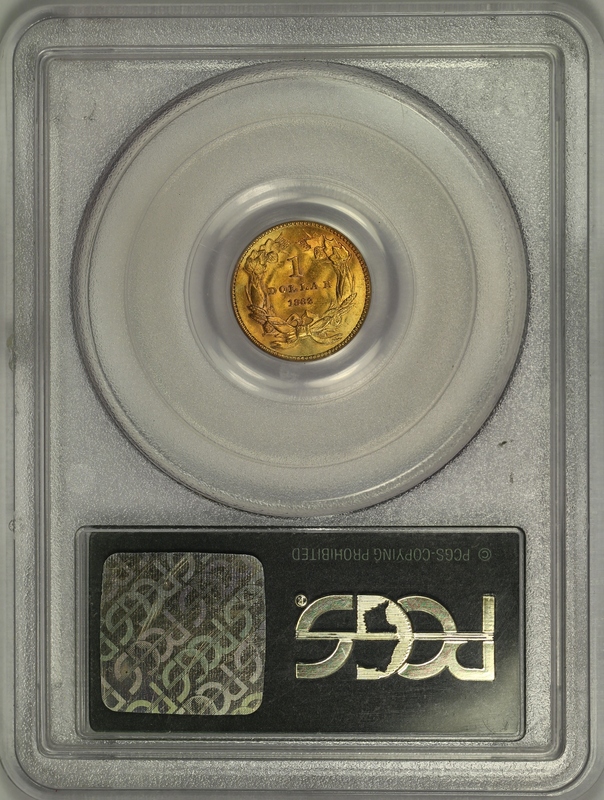 The coin has beautiful bright gold color with booming original mint luster. Only a few light marks can be found under a close inspection. 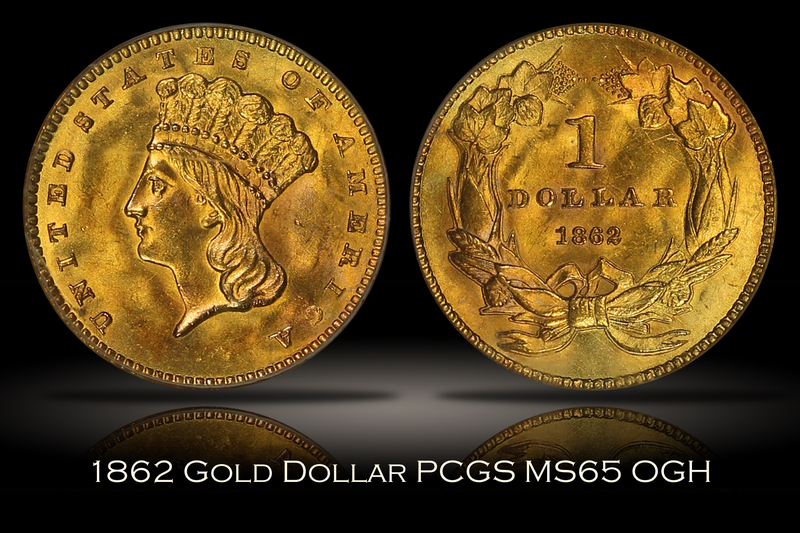 An amazing gem example of the type with tons of eye appeal.